Canarsie residents are speaking out since Mayor Bill de Blasio announced last week that the city will create a ferry stop in Coney Island, but not at the Canarsie Pier. According to the Brooklyn Paper, residents of the neighborhood who rallied alongside dwellers of the People’s Playground for its fair share of the city’s NYC Ferry service since it first debuted in May of 2017 are peeved that the coming expansion of the service in 2021 will once again exclude Canarsie. 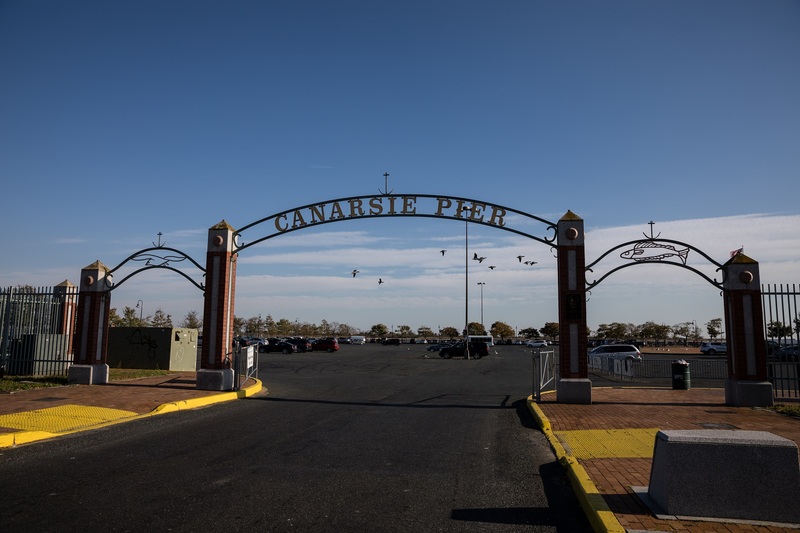 “It’s terrible, basically Canarsie is being neglected again,” Marc Want, the head of civic group the Canarsie Improvement Association, who in 2017 collected more than 6,000 signatures on a petition demanding a ferry stop at the Canarsie Pier, told the Brooklyn Paper. Want even went as far as to claim that Coney Island “piggybacked” on Canarsie’s push for inclusion. “Every meeting that we were at with the city, Coney Island was trying to join in. Coney Island was trying to piggyback on us, and now they got it,” he told the outlet. Besides the new Coney Island to Wall Street route (which will include a new express stop from Bay Ridge to Pier 11), the city will expand service from Staten Island to Lower Manhattan and the West Side. It will also add a new stop at the Brooklyn Navy Yard and a new landing at Ferry Point in the Bronx, where access to the Ferry Point Park landing within the park will be enhanced, and the parking lot improved. Citywide ferry service was announced in 2016 and is run by the New York City Economic Development Corporation. The mayor announced the new additions to NYC Ferry service as part of his State of the City address, delivered at Manhattan’s Symphony Space on Jan. 10.